Private dance classes are the most effective way to take your dancing to the next level, learn a new dance style/genre or begin dancing for the first time. 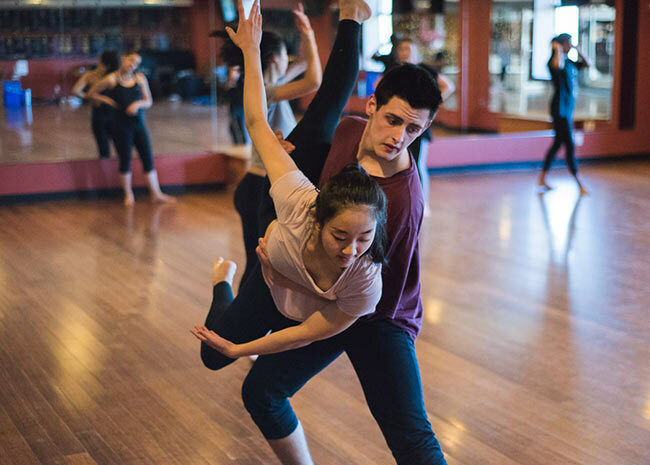 At Joy of Dance, we ensure you get the right teacher to suit your dance goals and receive the best in individual attention in technique, movement, steps and performance. Joy of Dance provides highly experienced and professional dance teachers who are available for private dance lessons 7 days a week. Sample private lessons are available. The lessons are 45 minutes at a cost of $30.00 for an individual, $40 for a couple, and include 30 minutes of dance and 15 minutes of discussion for the teacher to understand your needs. Only one Sample Private Lesson per person or couple. Book a private or semi-private dance lesson with Joy of Dance to help your child or teen prepare for their school audition. Joy of Dance also caters to students who can benefit from extra attention and instruction. Our professional dance teachers have experience working with youth of all ages and skill levels.